Whether you're just starting out in your IT career or have experience and are looking for a way to step up to the next level, a CWNP certification can validate your skillset and pave the way for new opportunity. Currently, we offer six official CWNP certifications – from entry-level to expert – each testing your knowledge of WLANs, RF technologies, troubleshooting strategies, network security and design and Enterprise Wi-Fi applications. Our proctored information technology certification exams, are offered at all Pearson VUE Testing Centers worldwide. Take the next step toward achieving your personal and professional goals and earning a higher salary. From here, you'll find information on each one of our CWNP certifications, include validation period, recertification, pre-requisites for exam eligibility and certification objectives. 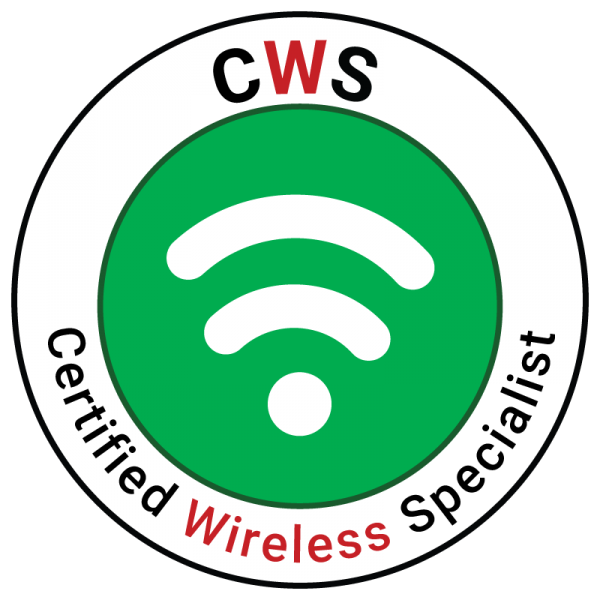 CWS® - Certified Wireless Specialist is an entry-level certification for those in sales, marketing and entry-level positions related to Wi-Fi. CWS teaches the language of Wi-Fi and is an excellent introduction to enterprise Wi-Fi. The CWS certification is valid for 3 years. 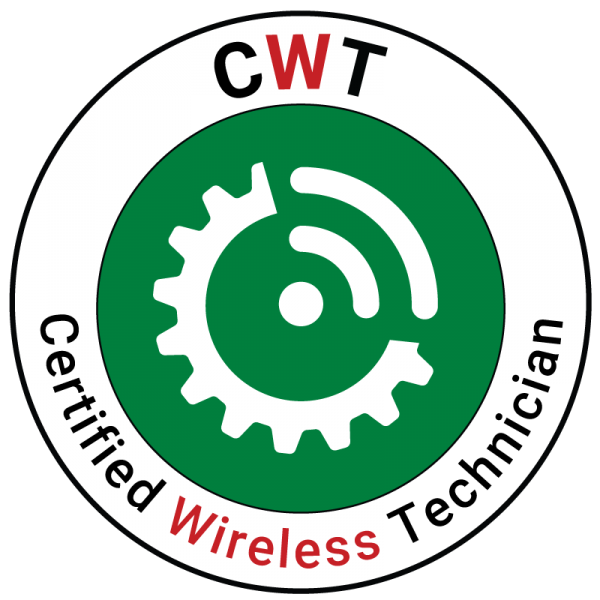 CWT® - Certified Wireless Technician is an entry-level certification for teaching technicians to install and configure Wi-Fi at the basic level. CWT provides the skills needed to install and configure an AP to specifications and configure a client device to connect to and use the WLAN. CWT is valid for 3 years. 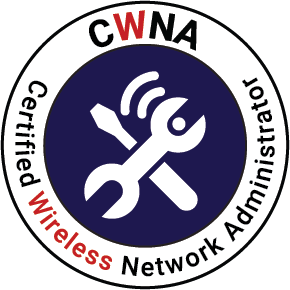 CWNA® - Certified Wireless Network Administrator is an administrator level career certification for networkers who are in the field and need to thoroughly understand RF behavior, site surveying, installation, and basic enterprise Wi-Fi security. CWNA is where you learn how RF and IP come together as a Wi-Fi network. The CWNA certification is valid for 3 years. 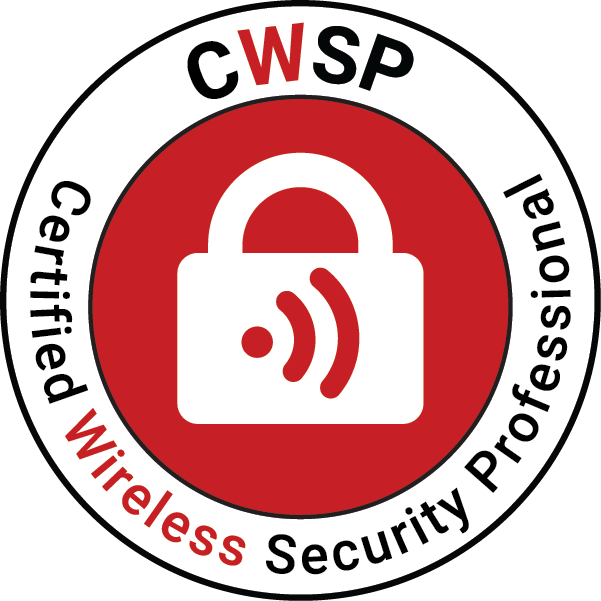 CWSP® - Certified Wireless Security Professional is a professional level certification for network engineers who seek to establish their expertise in enterprise Wi-Fi security. Contrary to popular belief, enterprise Wi-Fi can be secure, if the IT pros installing and configuring it understand how to secure the wireless network. You must have a current CWNA credential to take the CWSP exam. The CWSP certification is valid for 3 years. 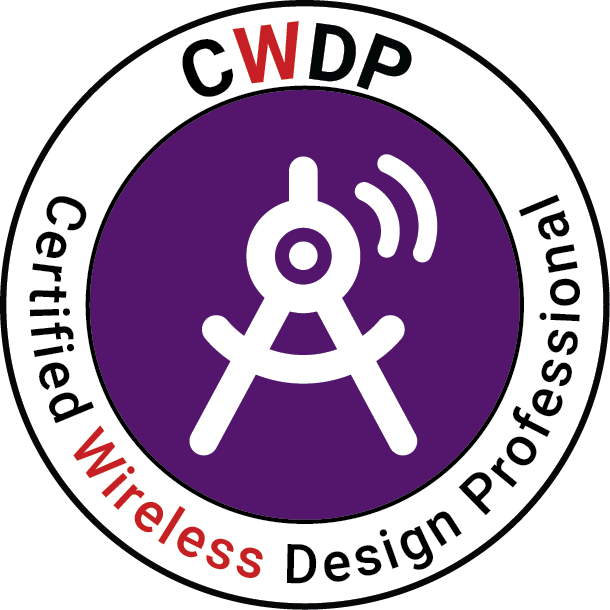 CWDP® - Certified Wireless Design Professional is a professional level career certification for networkers who are already CWNA certified and have a thorough understanding of RF technologies and applications of 802.11 networks. The CWDP curriculum prepares WLAN professionals to properly design wireless LANs for different applications to perform optimally in different environments. You must have a current CWNA credential to take the CWDP exam. The CWDP certification is valid for 3 years. 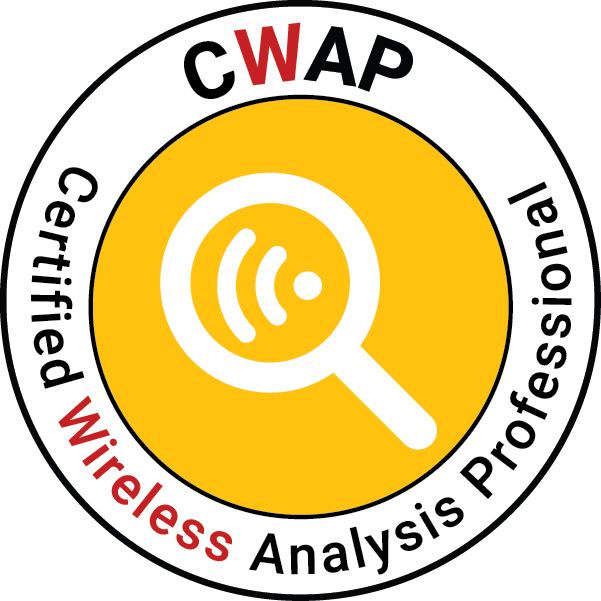 CWAP® - Certified Wireless Analysis Professional is a professional level career certification for networkers who are already CWNA certified and have a thorough understanding of RF technologies and applications of 802.11 networks. The CWAP curriculum prepares WLAN professionals to analyze, troubleshoot, and optimize any wireless LAN. You must have a current CWNA credential to take the CWAP exam. The CWAP certification is valid for 3 years. The CWAP exam is available at all Pearson VUE Testing Centers worldwide. CWNE® - Certified Wireless Network Expert is an expert level Wi-Fi certification for the most elite Wi-Fi professionals. Do you have what it takes to be recognized as an expert in enterprise Wi-Fi? If so, start here. 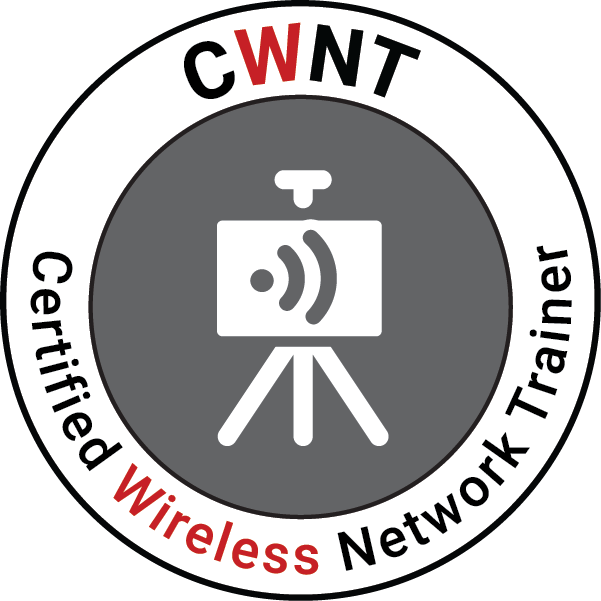 CWNT® - Certified Wireless Network Instructor Leverage your Wi-Fi and networking expertise and IT instruction experience to teach official authorized CWNP classes. CWNP Learning Centers must employ or contract a CWNT to teach any authorized CWNP training class. 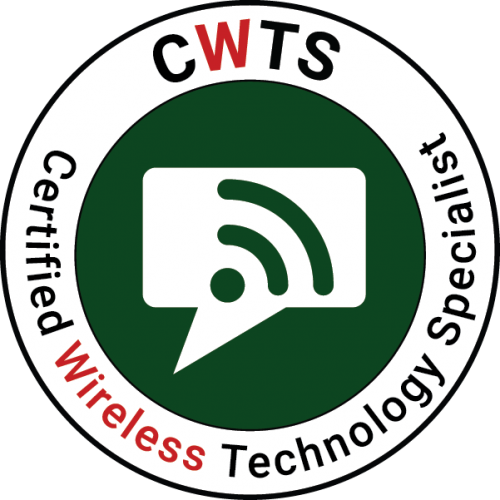 CWTS® - Certified Wireless Technology Specialist is an entry-level certification for sales professionals, project managers, and networkers who are new to enterprise Wi-Fi. Learn what Wi-Fi is before you learn how it works. CWTS is a lifetime certification.